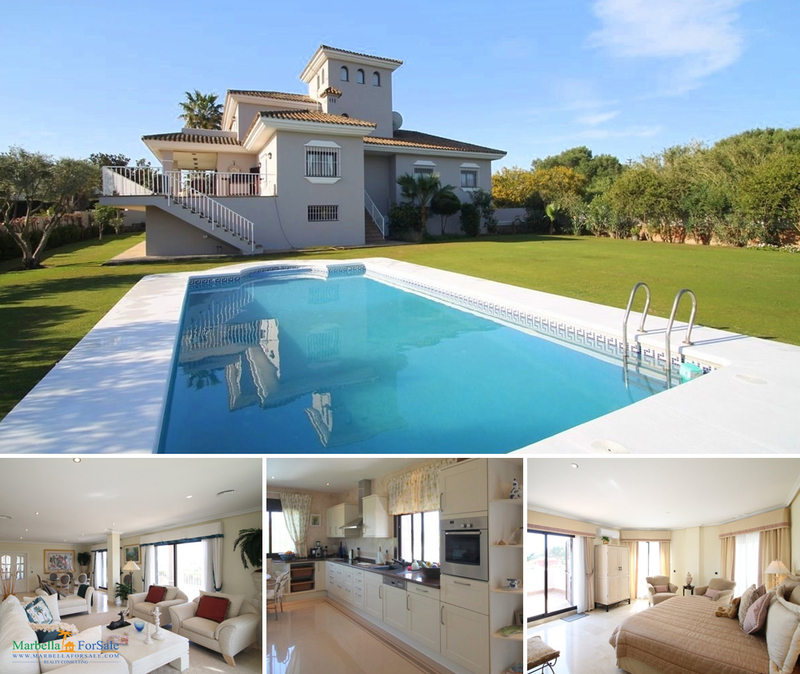 Recently renovated three bedroom south facing villa in Valle Romano, Estepona, with wonderful panoramic sea views and just a short drive to Estepona town. On the entrance level there is a spacious open plan living and dining area with a working fireplace; fully equipped kitchen; master suite and a guest cloakroom. There are huge windows all around the villa not only offering stunning views but allowing as much natural light in as possible.